The grounds of the Organizational States of America are filled with artwork. One looks like a pile of rocks. That’s because it is. 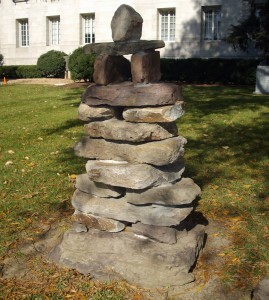 According to a nearby marker, the stones are an Inuksuk — “A northern stone land marker used by the Inuit for navigation, communication and to mark hunting and fishing grounds; it symbolizes the traditional Inuit way of life. 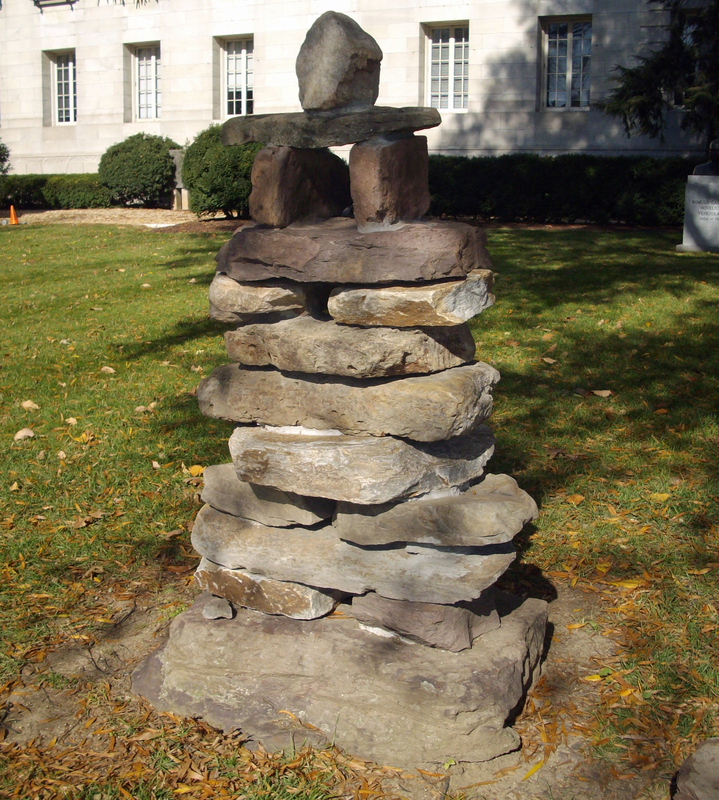 This entry was posted in Monuments and Statues and tagged artist Peter Irniq, Best D.C. walking tours, Best DC walking tour, Canada, Inuksuk, OAS, Photo by Rick Snider, Washington D.C.. Bookmark the permalink.